Hand hygiene is one of the most important elements of infection control. The aim of hand washing is to remove transient micro-organisms, acquired through everyday tasks in the clinical setting, from the surface of the hands. Good hand hygiene protects both patients and staff. There are two main cleansing agents used in hand washing; alcohol-based formulations and soap & water*. For both agents however, the technique used to clean the hands is the same. To maintain optimum hand hygiene, it is recommended that nothing is worn below the elbows (except for a plain bands), and that the fingernails are clean and trimmed. (c) Adapted from the WHO "How to Handwash" poster. 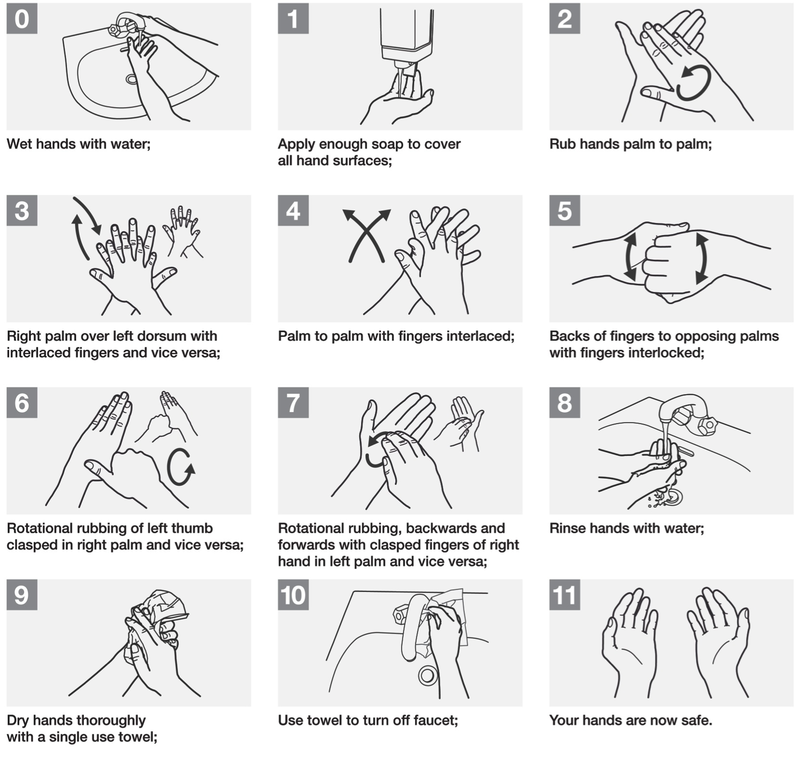 According to the WHO guidelines on “Hand Hygiene in Healthcare”, how many key moments related to hand washing are there? When is use of soap and water specifically indicated over alcohol-based solutions?